Nearly 75% of all flowering plants need the help of other organisms in pollination. There are over 200,000 different beneficial insects, such as bees, butterflies, beetles, flies, and more, that help in the pollinating of flowers and the fruits and vegetables we enjoy every day. Help these vital species thrive by revamping your garden, patio, or porch into a pollinator paradise. 1. 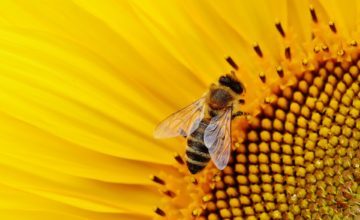 Plant More Flowers: Our HoneyDNA findings have shown that a varied diet is key to honey bee health. Check out the Pollinator Partnership’s guide for growing plants native to your region. Bees prefer cool blue and bright yellow and white flowers while butterflies prefer vibrant pinks and reds, so plant a rainbow of flowers. For a pollinator-friendly garden full of native plants and seasonal fruits and veggies, consider a beautifully landscaped rooftop or garden designed by our partnered landscaping companies: Urban Plantations in Southern California, Gardenz in Denver, Farmscape in San Francisco and Los Angeles, Chicago Specialty Gardens in Chicago, Rooftop Roots in Washington, D.C., Green City Growers in Boston and New York, Portland Edible Gardens in Portland, OR, and Stone Soup Gardens in Seattle. 2. 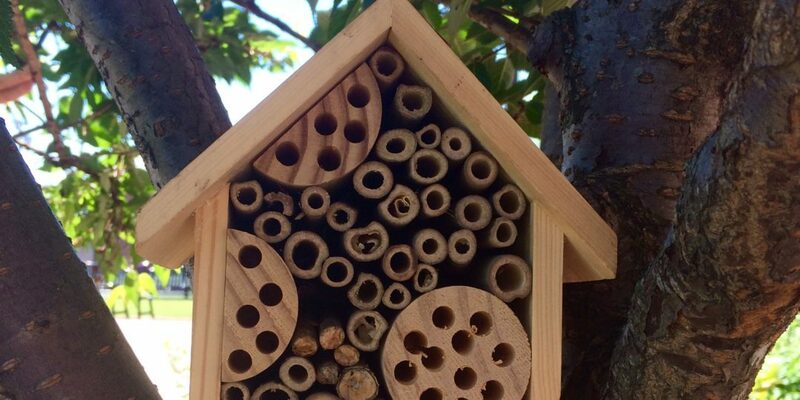 Add Habitats to Your Garden: Whether you install a diverse bug hotel, colorful butterfly house, or a buzzing Langstroth beehive in your yard, making a happy home for pollinators encourages them to settle in your neighborhood while providing them protection. 3. Let Clover Flourish: Allow clover in your yard to bloom before mowing the lawn so honeybees can benefit from this important nectar and pollen source. You can even plant patches of clover in selected sunny spots in a more landscaped design. 4. Create a Pollinator Oasis: Bees and other insects require reliable water sources. Upgrade your current bird bath (or a planter saucer) with a collection of rocks, crystals, or pebbles and floating objects like wine corks that give pollinators easy footing to reach shallow water. 5. Advocate for Pollinators in Your Community: Stay informed on pollinator facts and educate your neighbors and community groups on ways to help. Host a pollinated food event, a habitat-building party, or a seedling swap.